Does your older home have air conditioning issues? Keeping historic and older homes comfortable can be a challenge — if you don’t know how to troubleshoot the problems. 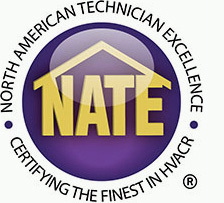 Let the HVAC experts at Palm Air in Boca Raton, Fla. help! Just keep reading to bring your home’s old heating and cooling system into the new millennium. Many older homes still have the original thermostats from when the first central heating and cooling system was installed in the home. Upgrade the system’s thermostat to experience more control over your indoor comfort. Older homes oftentimes were first heated and cooled using a window AC unit. Window units are effective at keeping one room comfortable at a time and are a good option for a short period of time. However, older window units are often energy wasters so replace them with a more energy-efficient option every couple of years. If the air in your older home is not cooling properly then you might have a refrigerant leak. An HVAC technician will need to repair the leak and replace the refrigerant in the system. An HVAC system should be installed by a professional with knowledge of the proper size unit needed to heat and cool the space, as well as where the unit should be located. The HVAC system is unable to perform at its best when improperly sized or placed. If your AC system is not cooling or heating your home when you turn it on it could be due to a number of issues. If your problem is that air is blowing hot when it should be cold, then it is mostly likely a refrigerant leak. Another issue commonly found in older homes are old, dirty or improperly installed coils, all of which should be repaired by a professional. If your system will not turn on at all then your condensate drain line could have a clog in it and need to be cleaned out. Learn how to fix a clogged drain line here. You may also just need to change air filter if it is particularly dirty and dusty. Another thing to check for when your AC won’t turn on is that your thermostat is properly working and your outside unit is unobstructed. If you have a window unit make sure it is plugged into an electric source that is still viable. If your air conditioner is running yet the air coming from it just doesn’t feel like it’s pumping from the vents, or the air isn’t cold enough from the vents, look for a couple of things. The number one reason for limited airflow is a dirty air filter. Make sure you change yours at least once per month. Another reason for restricted airflow is ductwork problems. If your air ducts are leaking air or clogged then the air your HVAC system is working to condition will never make it to you. Have your air ducts cleaned and inspected to ensure this doesn’t happen. Did you know that you can reduce AC energy use by 20 to 50 percent by upgrading your air conditioner to a high-efficiency model. Annual maintenance coupled with replacing your air filter each month will also keep your electric bills low. 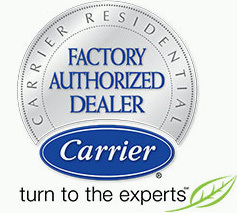 Contact Palm Air Air Conditioning for any of your heating, ventilation or cooling services in South Florida.